The U.S. insurance market is often described as the most developed in the world, but the impacts of hurricanes in the third-quarter of 2017 highlighted a dangerous protection gap in the region and brings the country’s ‘most developed’ status into question. This was a view shared by Jutta Kath, Chief Operating Officer (COO) of Zurich-based insurance-linked securities (ILS) fund manager, Secquaero, speaking during the Artemis 2017 Monte Carlo Executive Roundtable. The Roundtable discussion, which included a number of ILS market executives and experts from various parts of the risk transfer chain, took place after hurricanes Harvey and Irma hit the U.S. but before the devastating hurricane Maria battered parts of the Caribbean. Naturally, the hurricanes were a strong focus of the roundtable discussion, and this included the complexity of the events and also the expectation that uninsured losses, and from Harvey in particular as a result of the high flood impact, would make a large portion of the overall loss. “Back to the point about the most developed insurance market in the world, is this a fair statement? At the time that Harvey was going on we had at the same time the Asian situation, if you look at the pictures they looked awfully the same, and the uninsured portion is huge,” said Kath. Flood insurance has for long been an issue in the U.S., one that resulted in the establishment of the National Flood Insurance Program (NFIP) in an effort to increase flood insurance penetration via more affordable and effective solutions for properties in specific flood zones. However, the NFIP was already in substantial debt prior to the third-quarter catastrophe events, and with significant flooding occurring in places outside of NFIP high-risk zones, and a lack of private market coverage and subsequently very low levels of flood insurance take-up for affected regions, the U.S. flood protection gap was highlighted once again. And as noted by Kath, flood isn’t the only peril that lacks sufficient insurance coverage in the U.S.
“If you had a California earthquake right now, you would have a similar situation, because only 10% of policy holders buy insurance because they are not required to buy it or because they don’t think it’s relevant. “You could have the same situation of a huge uninsured portion of losses, and that’s why I’m questioning the picture of the most developed insurance market in the world. “Developed” in this context would imply a high level of coverage in light of high property values,” continued Kath. It’s an interesting point, and one that underlines the need for more effective and affordable solutions designed to protect against the world’s perils in developed markets as well as emerging regions, with the latter typically being the focus of protection gap discussions. Fellow roundtable participant Tom Johansmeyer, Assistant Vice President (AVP), PCS, supported this notion, underlining the need for improvement in both developed and emerging regions. 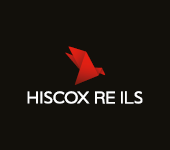 “It’s an interesting thought, there is a lot of work to be done in developed markets, clearly. The CEA has a lower penetration rate than PAID in Romania. And is California that far behind? The TCIP has probably three or four times the penetration of the CEA, and I think the differences are significant, both in terms of product development and pricing, which are designed for attainability in Turkey and Romania, but also in terms of education and distribution,” said Johansmeyer. Johansmeyer continued to explain that the industry’s distribution practices aren’t what they should be, stressing that distribution isn’t done correctly across the industry. “You’ve got to develop something that’s sellable and useful, and not every product is designed to be useful. And what happens when you bring all that together is a very low penetration rate in a developed market,” said Johansmeyer. The protection gap in both developed and emerging markets will likely continue to be a hot industry topic, and until coverage short-falls are seen to be changing and solutions come to fruition that really meet the needs of both the end-user and the cedant, the protection gap will most likely remain one of, if not the industry’s biggest challenge and opportunity. 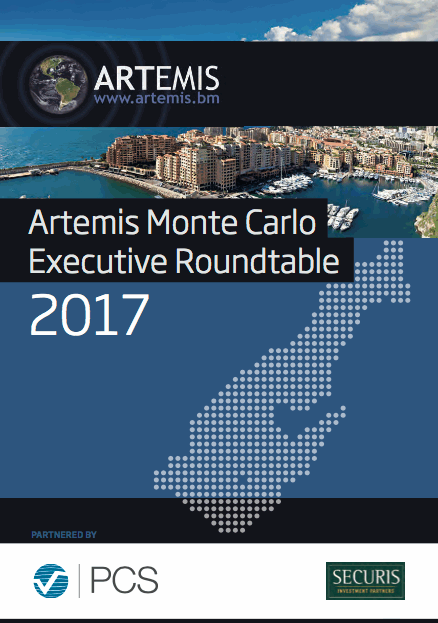 Download your copy of the Artemis Monte Carlo Rendezvous Executive Roundtable. Download copies of all of our Executive Roundtable reports here.